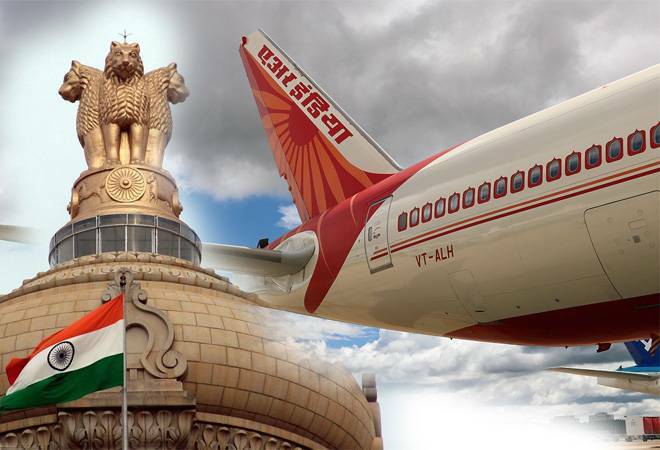 Niti Aayog vice-chairman Rajiv Kumar has said that Air India Ltd should be made profitable before it is sold so that the government can get a good price. It is a sentiment I have heard earlier - from Swadeshi Jagran Manch National Co-Convenor Ashwini Mahajan at a lunch we both attended. There are others associated with the government and the BJP who no doubt have similar views. The problem with this line of thinking is that it ignores the reality of Air India. Over the past decade, the government has sunk many thousand crores of tax payer money in keeping Air India afloat. Since 2012 alone, the government has sunk Rs 27,195.21 crore to keep the carrier flying. Reports suggest that Air India has sought a Rs 1,000 crore short term loan urgently from the government for its working capital requirements. The government was anyway planning to infuse about Rs 980 crore this year to support the carrier. Air India is reportedly so strapped for cash that it has had to delay salary disbursements several months in a row, and also delayed vendor payments. Air India makes losses every year, and last year it lost around Rs 5,765 crore. With crude oil prices rising, all carriers are facing the heat from higher aviation fuel costs. This is going to affect the margins of even super-efficient carriers like Indigo. For Air India, it would mean piling on more financial misery - and therefore more money required from the government to keep flying. The government meanwhile has shown no great intent or appetite for taking hard decisions and turning around Air India. In 2017 alone, Air India saw three new chairmen - Pradeep Singh Khairola, currently holding charge, his predecessor being Rajeev Bansal who in turn was succeeded Ashwini Lohani. Mr Lohani had taken over from Rohit Nandan in 2015. In fact, Mr Nandan was the last chairman of Air India to have had a decent term - having served from 2011 to 2015. Needless to say the rapid changes at the top of Air India does not give any chairman enough time to make any substantive changes to the carrier. All the chairman of Air India also have been career bureaucrats. Though that is not necessarily a disqualification, Air India could do with perhaps an airline professional at the top who is given enough of a tenure and enough powers to do make substantive changes. The problem with almost all the CMDs who have headed Air India so far is that their powers have been limited. They have had to deal with meddling from the civil aviation ministry bureaucrats and civil aviation ministers who have their own ideas. The biggest problem all of them have faced though is that none of them can do anything to tackle Air India's recalcitrant staff. The national carrier is over staffed and inefficient and while it no doubt has many competent executives, it also has a huge number of bad ones who enjoy job security and high salaries with little work to do. It has 11 unions which can paralyse operations if they feel slighted in the least. And the government has never backed any CMD so far to take on the staff or reduce numbers. Not the UPA and not the NDA. Turning around Air India is not going to be easy even for any private aviation player if they buy it. That is a sentiment I have heard from different aviation professionals working in the private sector. Most importantly, no one who is opposing the Air India sale currently has offered a blueprint to turn it around. Not the civil aviation ministry, not Niti Aayog and not Mr Mahajan. But it is wrong to blame them because even the UPA government had no idea about how to solve the aviation problem. Consider this. If Air India had been a private sector carrier, it would have closed down long ago. The government and the opposition love to rant about Vijay Mallya running away without repaying his bank loans. If I am not wrong, he owns Rs 6000-6500 crore as principal and another Rs 3000 crore as interest. The government has sunk three times as much on saving Air India (which incidentally offers much worse service than Kingfisher did) in the past four years itself. Meanwhile, there are reports that Jet Airways is in serious financial trouble. Its losses have mounted and its cash flow situation if bad. Again, the problems at Jet are probably far lower than it is at Air India. Worldwide, aviation is a brutal business and it is worse in India because of aviation fuel and other costs. Only a few companies manage to remain profitable. If the government decides to wait until Air India turns a profit before looking for a sale, it would be many, many years, if at all before such a sale takes place. Again if it were a profitable airline, why would the government need to sell it. Turning Air India profitable is a nice idea - it is also a utopian idea as far as the government is concerned. And the longer it delays selling Air India, the more tax payer money will be wasted on it. Money which could be better spent - on education, agriculture, infrastructure or even defence.